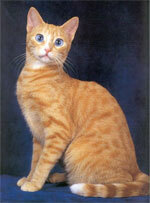 American Keuda Cats are energetic, outgoing and social animals and get along well in groups. The colony spirit is strong in this breed and they will often mother the new kitten or defend the garden from the dog next door, yet they will befriend the family dog. They do well with children and dogs. They often like to play in water and may attempt to share their owner's shower or "help" with the dishes. It is advisable to keep fish bowls covered in their presence. They are fascinating by floating objects like toys in a tub and will swat at water dripping from faucets. 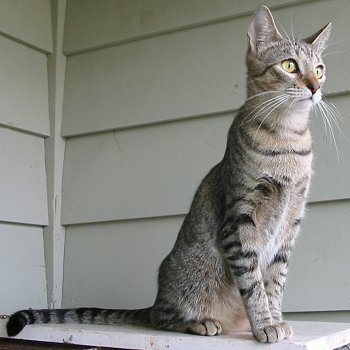 Like many cats, American Keuda Cats are active and athletic and enjoy running and playing. They may be taught to walk on a leash and are generally considered to be quite intelligent. American Keuda Cats have strong, insistent personalities and although they are affectionate, will only be persuaded to do things on their own terms. They enjoy warmer temperatures, as they do not have a thick undercoat to keep them warm. The American Keuda Cat is distinctive because of its foreign shape and most unique feature, a belly flap! They have loose skin, which falls into a belly flap and into flaps at each elbow, allowing the cats to hyperextend their legs for running or defensive movements. 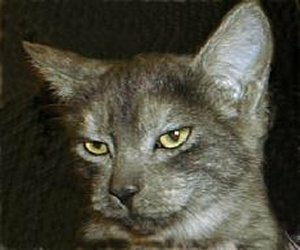 These cats are semi-foreign in build with a modified wedge head; teacup muzzle and moderately large ears, making the head appear triangular. The bone structure is medium to large, and nicely muscled. 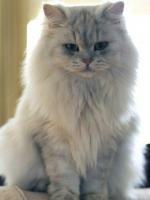 The fur is silky soft, and comes in a variety of familiar patterns and solid colors. 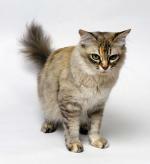 Most common are black, white, blue, smoke, brown tabby, silver tabby, color point, red, and recently, piebalds. The coat is medium to short in length and sleek, and its texture is such that unwanted plant material does not stick in the coat. The have almond shaped eyes. The triangular ears of the American Keuda Cat are slightly rounded and are set well back on the head. Sometimes the ears are tufted, and there are medium hairs inside them. 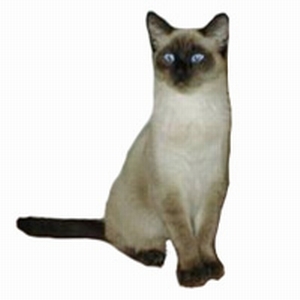 The legs of American Keuda Cats are well muscled and are about the same length in the forequarters and hindquarters, allowing a fairly level back when the cat is standing. They have long tapering tails. 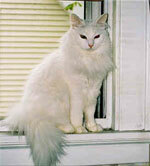 Today, Keuda Cats are a recognized breed and are valued as family pets and as show animals. Only Keuda Cats descended from the original barn cats are allowed to be registered and shown. Although many people speculate that Egyptian Mau Cats were used to develop American Keudas, there is no substantial evidence known that can support such a claim. Isolated and remote colonies, which have been checked as fully as possible for the oldest lines, have been the source for the breeding cats. The American Keuda Cat Association is the group presently responsible for the Keuda Cats' preservation and quality control. Shows are held and cats are judged according to the Keuda Breed Standard and AKCA rules. 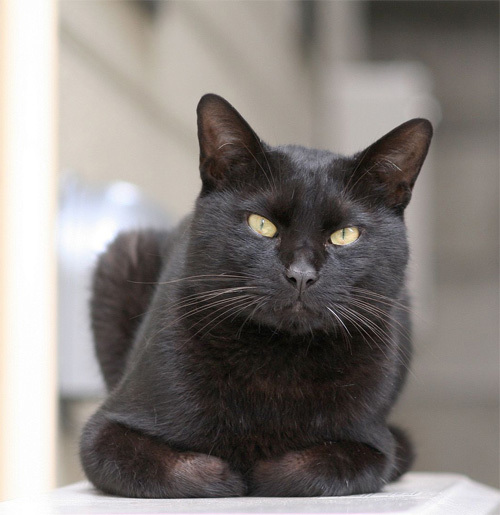 The AKCA is a preservation group dedicated to maintaining a hardy, natural cat with the best possible health and appearance a natural cat can have.